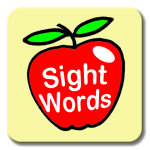 “Sight words” are words that can not be sounded out or learned through the use of pictures and have to be learned by sight. The original Dolch Word list (named after Edward Dolch, PhD) contains 220 words that have to be easily recognizing to achieve fluency in the English language. The list later included 95 nouns. The Dolch sight words are helpful for adults learning English as an additional language (ESL) as well as for children. 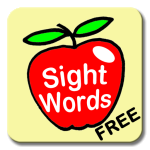 This app has all 220 sight words plus the nouns in a flash card setting. FREE version, download from the Google play store! A paid ad-free version is also available.